We decided quite a few years ago now, that it was important to try and keep people in touch with where their food comes from! So we offer an opportunity for people to buy our vegetables as freshly as possible, by visiting our farm gate ‘shop’, here in Fadmoor. It is not highly sophisticated, but simply offers whatever we have to sell each day. We only sell what we grow’, so everything is utterly seasonal! 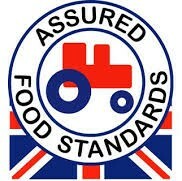 None of our vegetables are pre washed or pre packed. Most of them will have been picked only a few hours beforehand they are on offer for sale. Our customers are welcome to choose exactly what they want for themselves…….a handful of sprouts or 4 equally sized leeks or whatever. We also have a limited supply of eggs. These are produced daily by our hens…reared organically here from their first day of hatching. 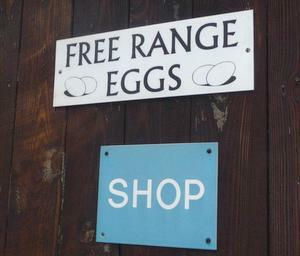 We do not supply eggs anywhere else …… They are exclusive to the shop. It would be unrealistic not to own up to having a ‘hunger gap’ for a few weeks in the Spring. This is usually from May to the end of June. There are always eggs over this period. The harvesting of vegetables usually begins with pointed cabbage and pak choi, and then a steady stream of new items transforms the shop. Bunched carrots and beetroot, fennel and lettuce, spinach and rainbow chard, new potatoes, peas and broad beans, lettuce and primo cabbage. Kohl rabi, coleslaw and red cabbage, cauliflowers and Romanesque, onions and courgettes and celery. As autumn approaches, parsnips and Savoy cabbage, pumpkins and celeriac, sprouts, turnips and swedes, kale and black cabbage fill the shop trays. We try to have a selection of recipes to tempt our customers to try unusual vegetables. Sometimes there are less basic vegetables in season that need a bit of explanation for traditional cooks. You will find help here! Our veg are available seven days a week in season. We are just a phone call away if you need to check what we have before coming! We meet lots of interesting people through the shop who have become friends. We delight in allotment gardeners having a rewarding harvest and commiserate with those who wonder how to deal with garden pests and the weather!